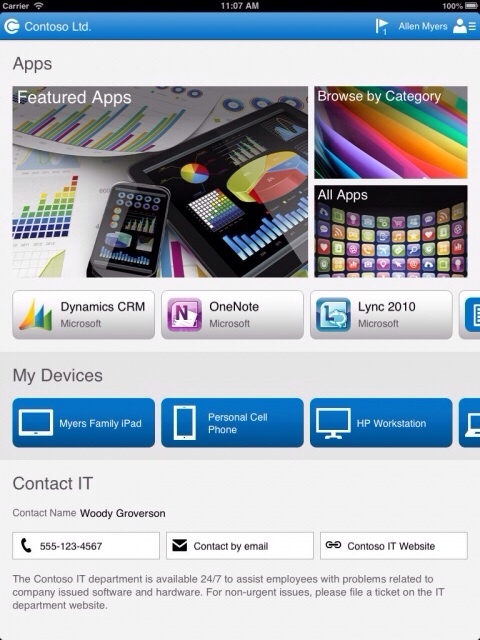 Microsoft has released 'Windows Intune Company Portal', a new app for iOS that lets you search, browse and install apps made available to you by your organization through the online service. 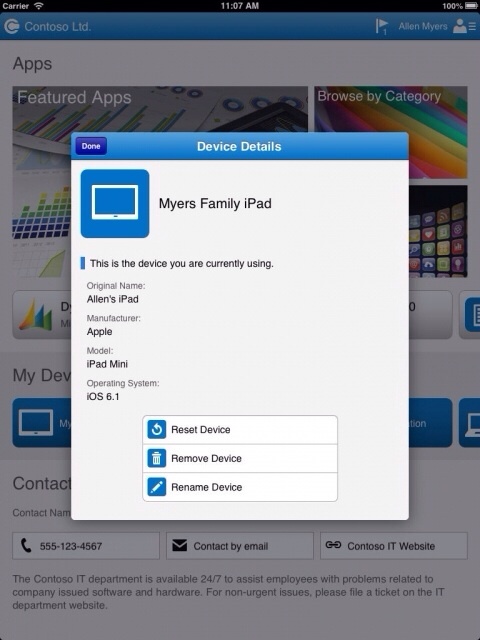 Apps can be installed without requiring a connection to your corporate network. 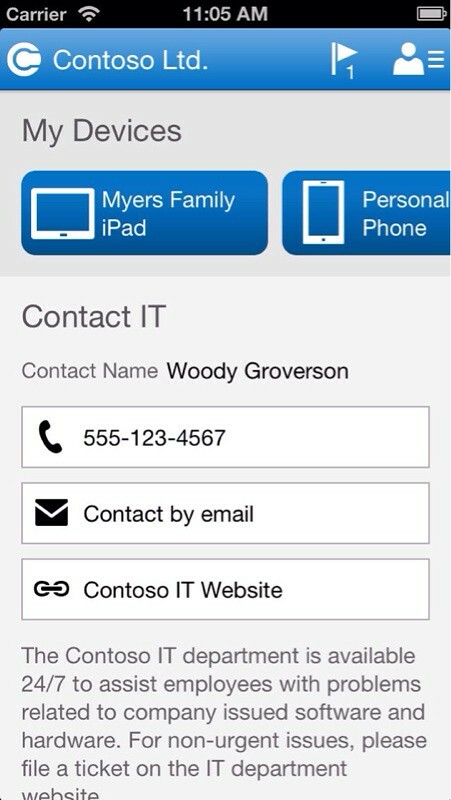 You can also add your personal computers and devices to the service and locate contact information for your IT team. 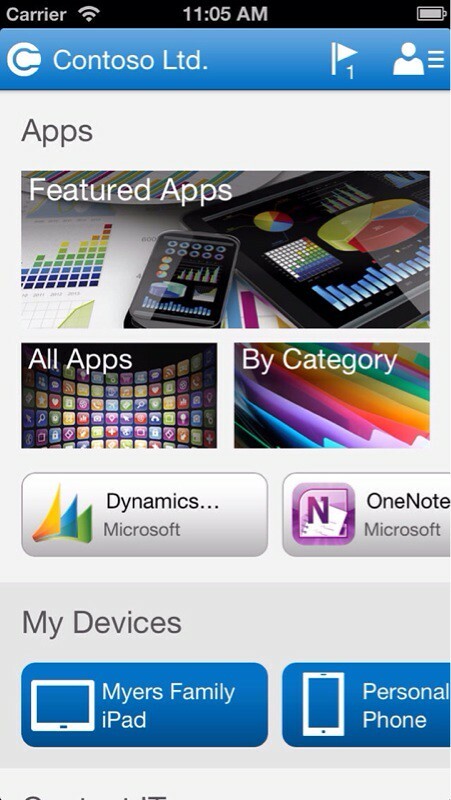 You can download Windows Intune Company Portal from the App Store for free.